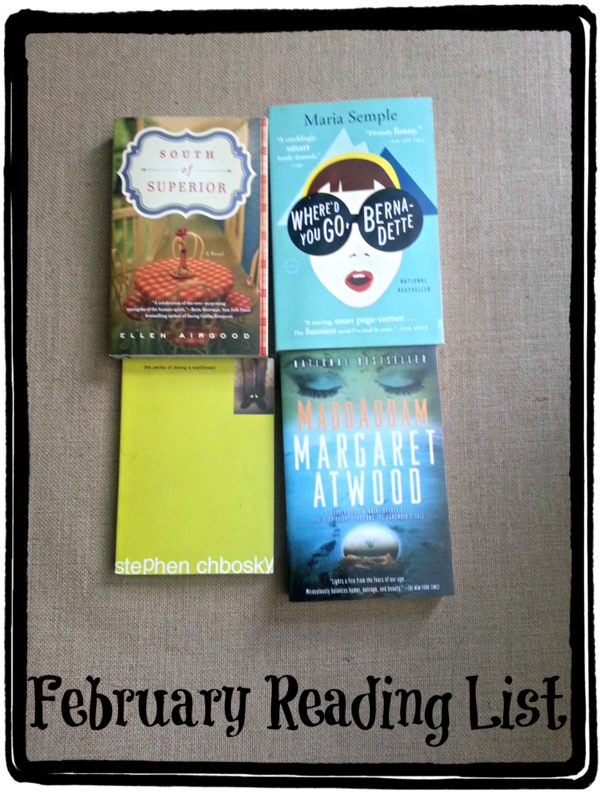 The books I picked for February are all fiction, but there's quite a variety of genres represented. South of Superior by Ellen Airgood was loaned to me by one of my friends. 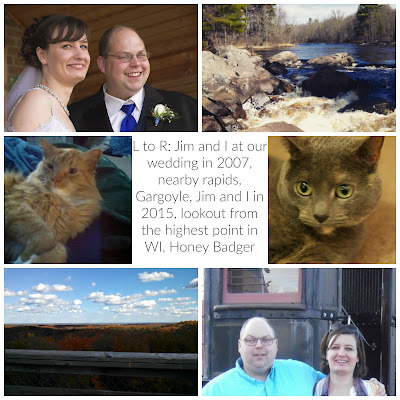 It takes place in the Upper Peninsula of Michigan, which is my most favorite spot, and seems to just be a story about small town living and how it shapes the protagonist who is new to the area. Where'd You Go Bernadette by Maria Semple is written all in letters and emails and faxes and the like, but they all work together to tell the story of a mother who disappears and how her daughter resolves to find her. More comedy than mystery, it's gotten great reviews. Madd Addam by Margaret has been on my reading list, a couple times now- once in October of last year, and again in November of the year before. I really want to finish up the trilogy, so I'm hoping this is the month I do it! So there it is, my February reading list. What are you reading this month?